The majority of the objects in the Collection is ecclesiastical silver intended for liturgical use, but there is also a small distictive group decorated with secular themes inspired from Antique mythology. Whether liturgical or secular, the iconographic composition of these objects emerges from a rich ornamental context of floral, vegetal and animal motifs drawn from contemporary artistic trends in Western Europe. As a whole, the decoration of the ensemble serves to illustrate the role of Istanbul within a network of spiritual, cultural and artistic links that extended throughout western and central Europe, and the Balkans and Russia. Thus, this particular assembly offers fascinating evidence for the diverse artistic and cultural milieu of Istanbul in the Late Ottoman period. 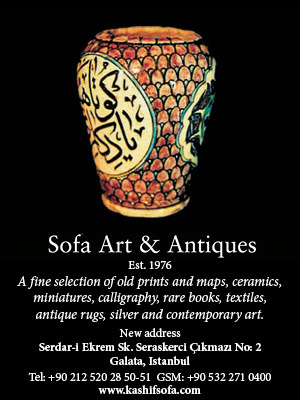 The decorative patterns fit perfectly within the gerneral process of westernisation of the Ottoman Empire, a phenomenon that has been studied thoroughly with regard to architecture and painting, but less so in the realm of the luxury arts, including silver.